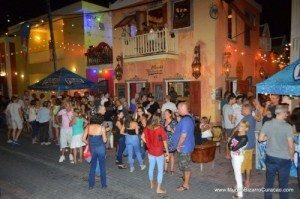 WILLEMSTAD - The interest group for musicians and artists AMAK has canceled the protest that was supposed to take place this week. The music organization is satisfied with the promises made by the government regarding live music, says chairman Manfred Feco Gomes. The government is to formulate a policy together with the AMAK: some neighborhoods are regarded as catering districts and some as residential areas. It is also likely that the sound may be louder at certain times. Currently, the maximum is 55 decibels: Gomez hopes to increase this to 65 to 85 decibels.